Prized for its excellent hardwood for woodworking this tree has a variety of benefits. It supports many species of butterflies and moths. 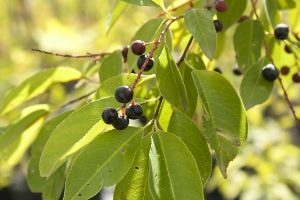 Produces edible fruit that is also enjoyed by many local birds. Has a stunning fall color with yellows and striking reds.